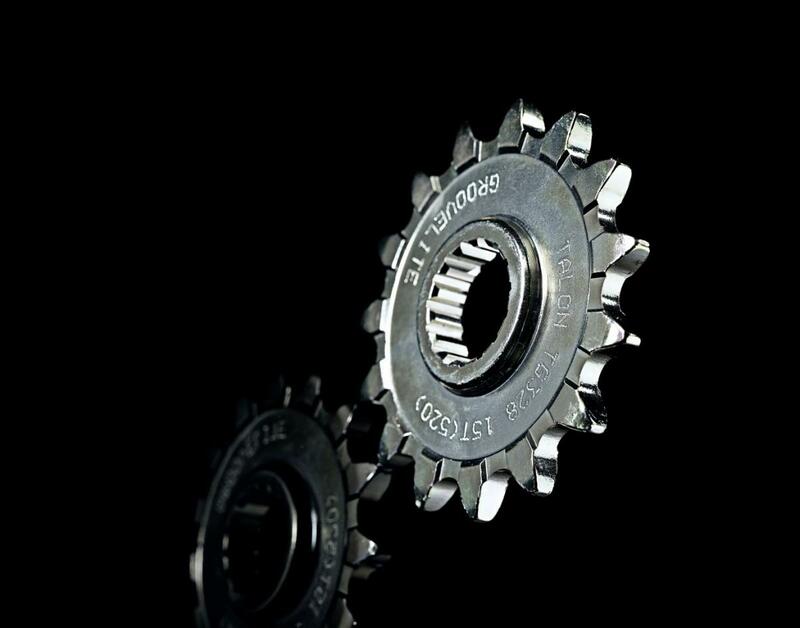 All Talon gearbox sprockets are manufactured 'in-house' in the UK . 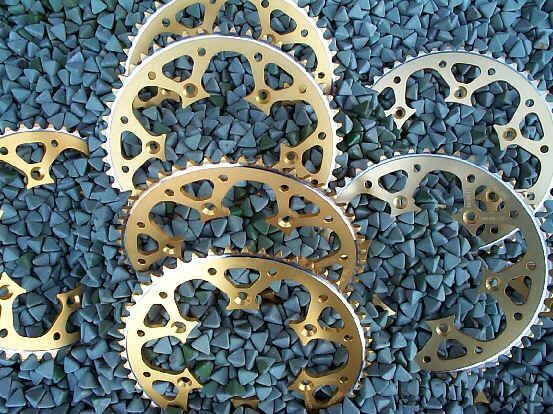 These standard front sprockets are made from case hardened chromoly-steel, zinc coated and heat treated for long life. 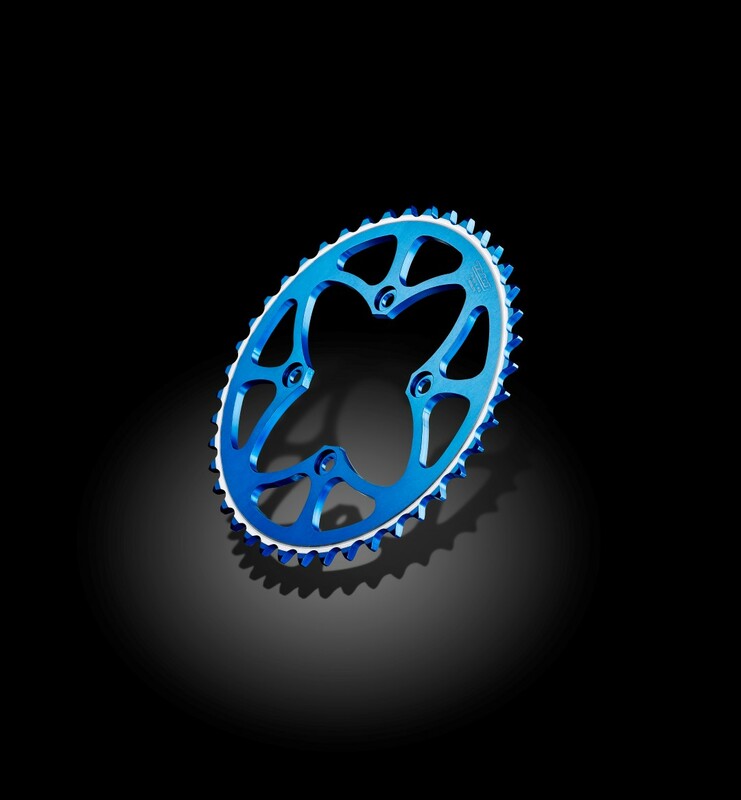 The Groovelite design has a self cleaning groove on both sides of the sprocket. Available in different teeth: from 11 up to 17 for certain models. Available in different chain pitches: 415 for 125cc roadrace ; 420 and 428 for 65cc to 85cc MX and pitbikes, 520 for 125cc and over MX motorcycles and 520, 525 & 530 for street bikes. All Talon rear sprockets are made 'in-house' in the UK . 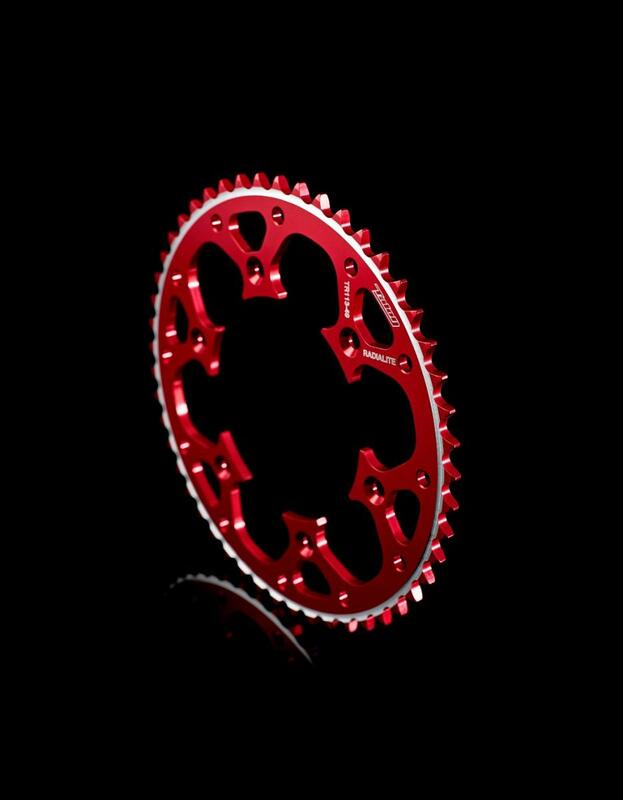 These ultra light sprockets are also available with the self cleaning groove on both sides of the sprocket. They are made from aircraft specification aluminium and anodised in gold for stock. They are, however, available in a variety of other colours: silver, black, orange, red, magnesium and blue. One-off specials can be made to order and sprocket blanks are also available. Available in different teeth: from 32 up to 56 for certain models.